As National Football League teams prepare their respective training camps, there are a number of questions heading into the new season. Can the defending Super Bowl champion New England Patriots repeat? Will the Dallas Cowboys continue their winning ways behind a second-year quarterback and last year’s NFL Rookie of the Year? 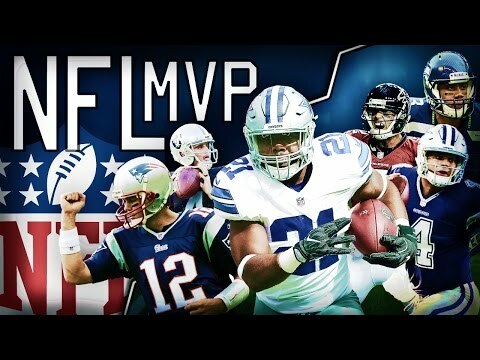 And everyone wants to know, who will win the NFL’s MVP award? If you are looking for answers to those questions, they may very well be 1) absolutely, 2) maybe, and 3) any of a number of players. The best bet is the guy that guided New England to its (sixth) Super Bowl victory last season. Patriots quarterback Tom Brady has shown no signs of slowing down despite being 39 years of age. In 2016, Brady enjoyed a season where he completed 67.4 percent of his passes, threw 28 touchdowns, and just two interceptions. His receiving corps returns and gets a boost from former New Orleans WR Brandin Cooks who had 78 catches for 1,173 yards and eight touchdowns last year. Brady will turn 40 in August, but has the ingredients for an MVP season. Another solid bet for the NFL MVP award is Green Bay quarterback Aaron Rodgers. A winner of two MVPs already, Rodgers established career highs in both completions (401) and attempts (610) last season. He threw 31 touchdown passes versus just eight interceptions and this year should have a better running game to aid the Packers passing attack. If that isn’t enough, history could be an indicator. Rodgers won his first MVP in 2011. Three years later in 2014, he won his second. The 2017 season marks three years since Rodgers’ last MVP. He will have the weapons to put together an MVP-caliber season. The longshot pick in the MVP race is Houston Texans DE J.J. Watt. The 6-foot-5, 295-pound Watt missed most of last season with a back injury, but will return in 2017. In his first five seasons in the NFL, Watt was the league’s defensive player of the year three times. At age 28 and healthy, he should be in his prime and another 20-plus sack season could be in the cards. Watt will also benefit from the improved play of DE Jadeveon Clowney, who had six sacks and 16 tackles for loss last season. It is difficult for a defensive player to win an MVP award, but if Watt has a season similar to 2012, ’14, or ’15 he will be in the mix to be crowned the NFL’s best player in 2017.